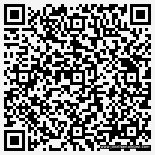 I created the following example just to demonstrate how much information about a medicine pack could be placed into a 2D barcode. 2D barcodes would complement the use of automated storage and retrieval robotics which are used in many large hospitals across the world. By including the batch number and expiry in the barcode, this information could be read by the stock control system allowing for automated expiry date reconciliation and recall of a particular batch in the event of an alert. A unique random ID would help prevent counterfeiting as this could be verified against a manufacturers central database.